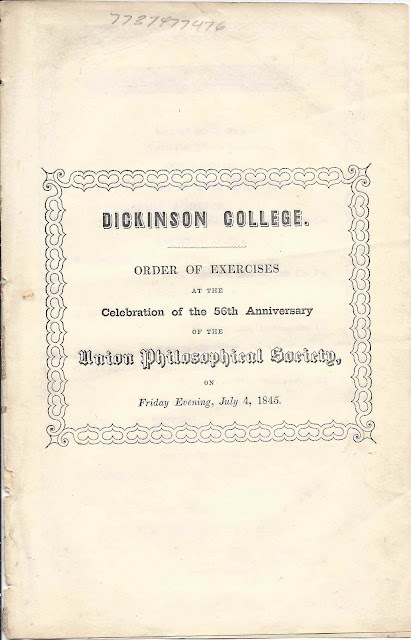 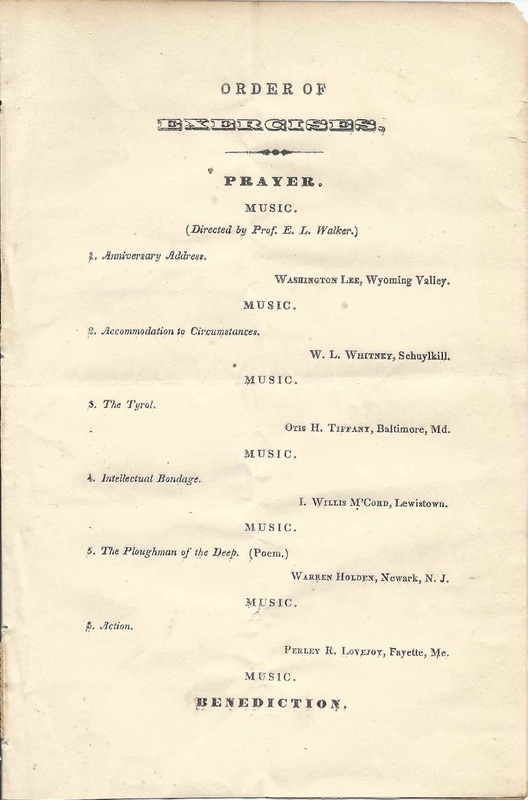 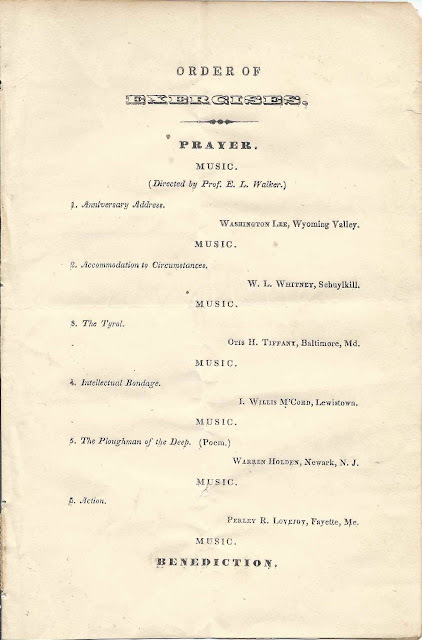 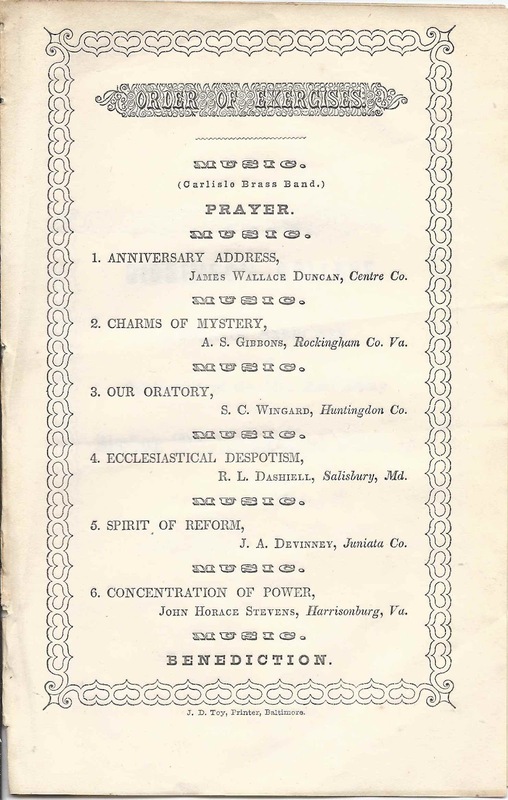 An 1843 and an 1845 program for celebrating the 54th and 56th anniversary of the Union Philosophical Society, Dickinson College, at Carlisle, Pennsylvania. 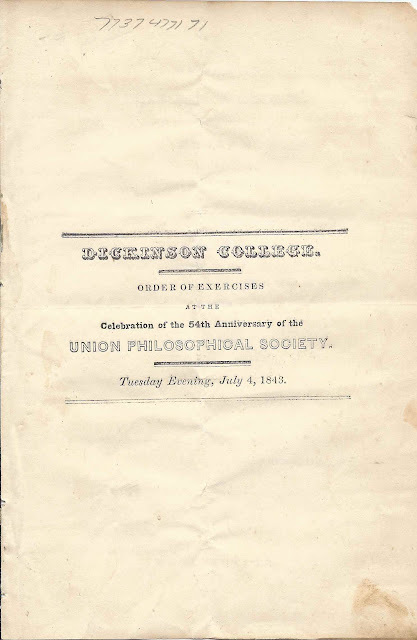 Above, the cover of the 1843 program. 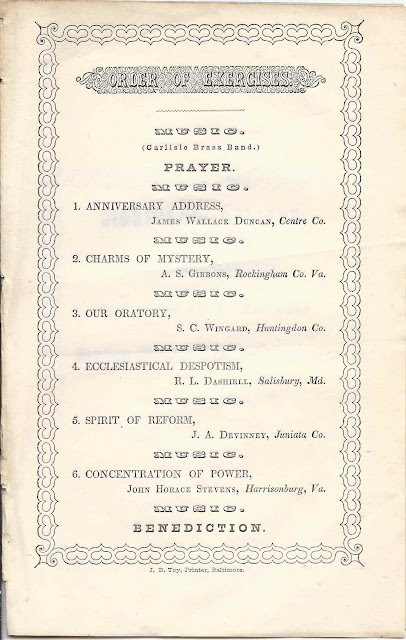 Below, the inside pane, with names transcribed below it. 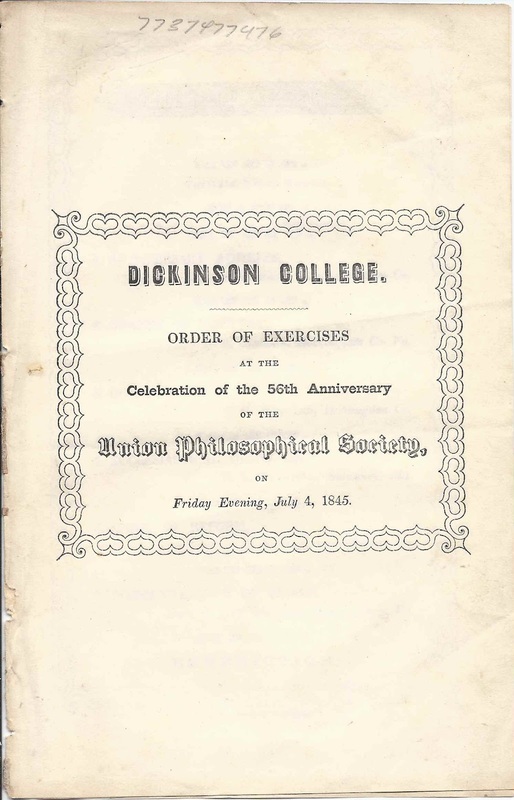 The website of Dickinson College has a section on its history. 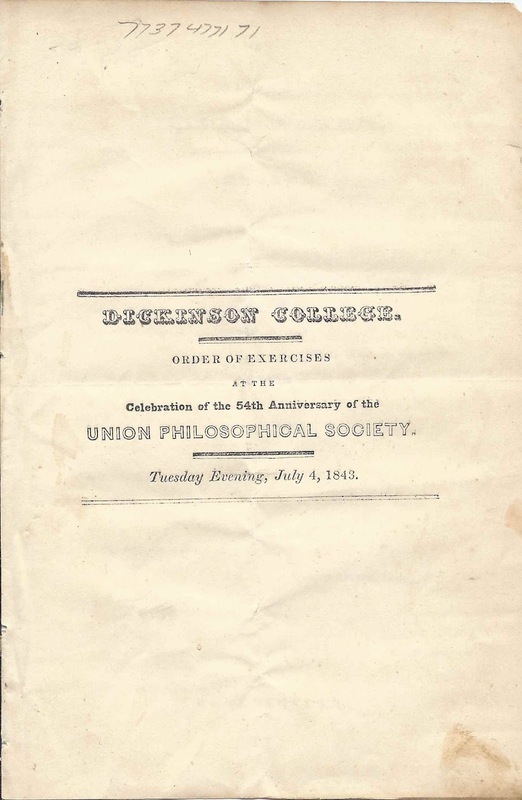 The Union Philosophical Society was founded at Dickinson College in 1789.